Anyone working from home can tell you… focus is definitely a challenge. Between your normal everyday tasks, the doorbell, people in the house, and, and, and, it can be hard to get any work done or chasing squirrels. 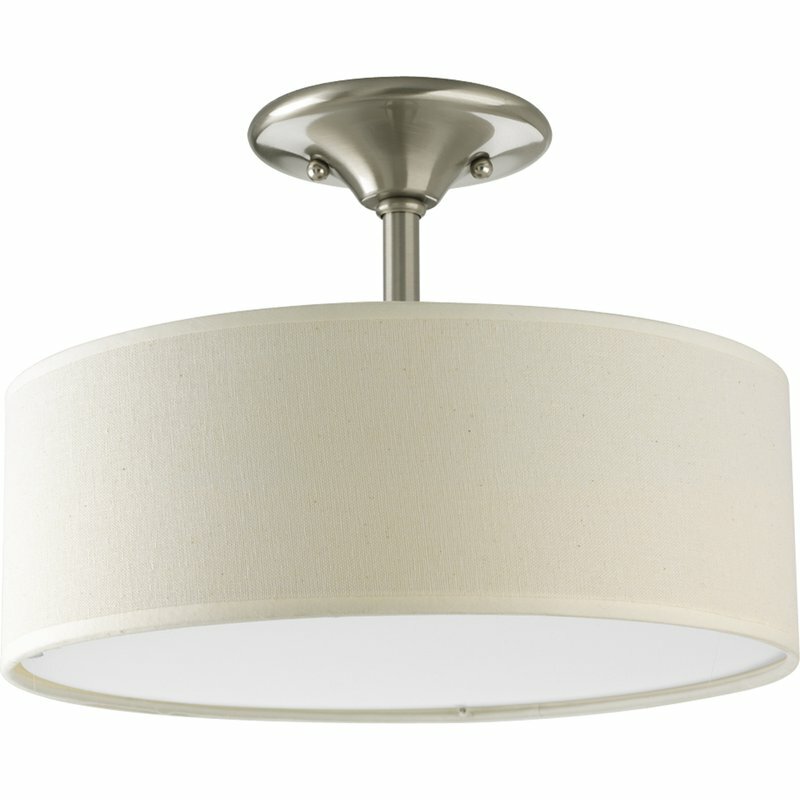 *We do share affiliate links to show the same, similar item, used. You can find our disclosure policy here. The last office makeover attempt, here, not only had an inefficient desk (round desk = no bueno for me), but it also was in a traffic area….too many distractions! 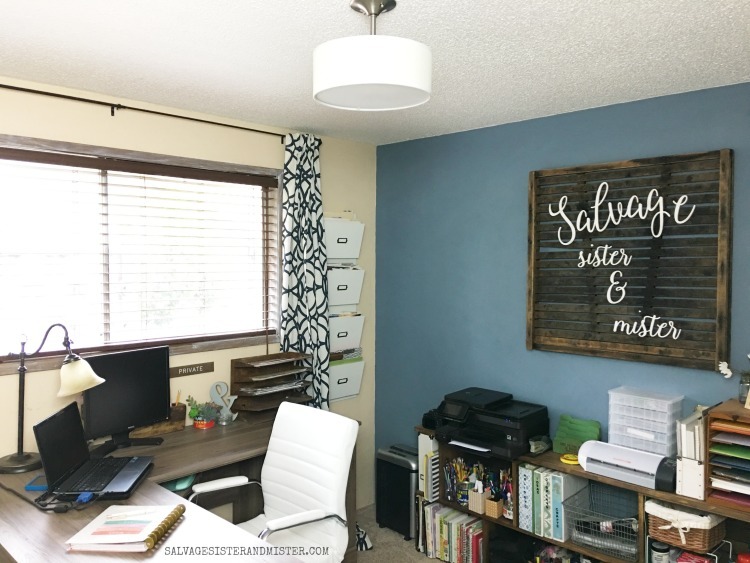 Project converting a bedroom to a home office was so needed as we took on this Spring’s One Room Challenge. The goal was to give a focused space to get down to the business at hand. This week, we added a wall calendar (thrift store find), light switches, misc touches, and a new light fixture. This room is now a place of business; the door can even be shut, if need be. And even though the room has been a work in progress, I have been blogging in it, and it’s all that I hoped it would be. It’s a million times better, in functionality, than what I had before. 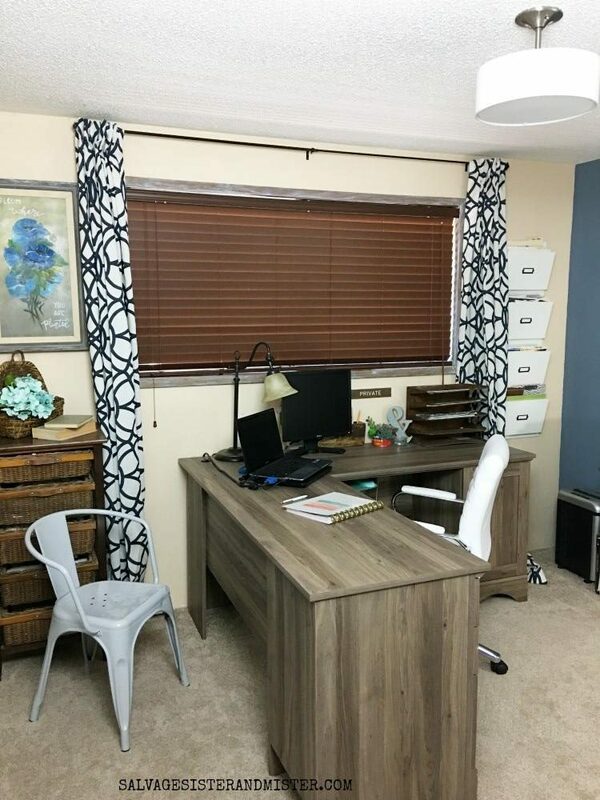 Thanks for joining on this journey in Converting a Bedroom into a Home Office Space. And be sure to sign up for our newsletter to be in the loop on new salvage design projects we take on..or I take on and The Mister is a good sport about it. Create your best life using what you have! Sign up for weekly emails with ideas to salvage your time, money, resources, and moments for your best life. Plus, there is a FREE Printable only for subscribers. Susie, Always the kind one! I am headed over to check your now! 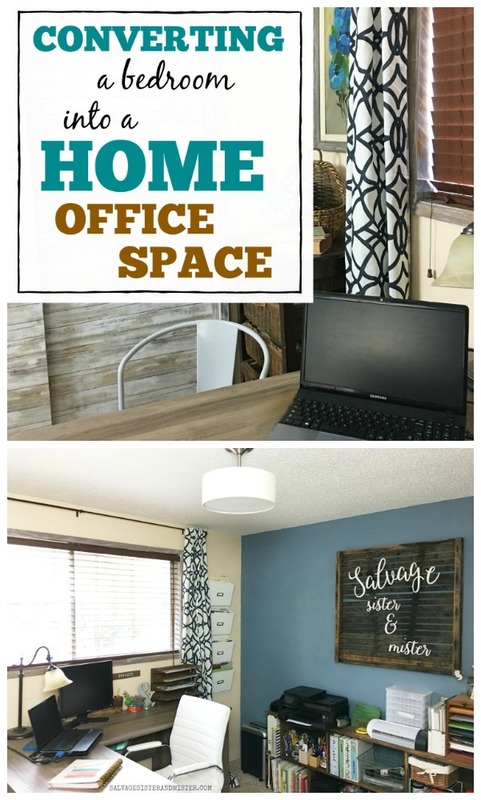 What a wonderful home office you’ve created! I love that office desk! Congrats and enjoy your new home office. Thank you Tee! It’s so nice to have my own space!!! What a great way to change it to an office. 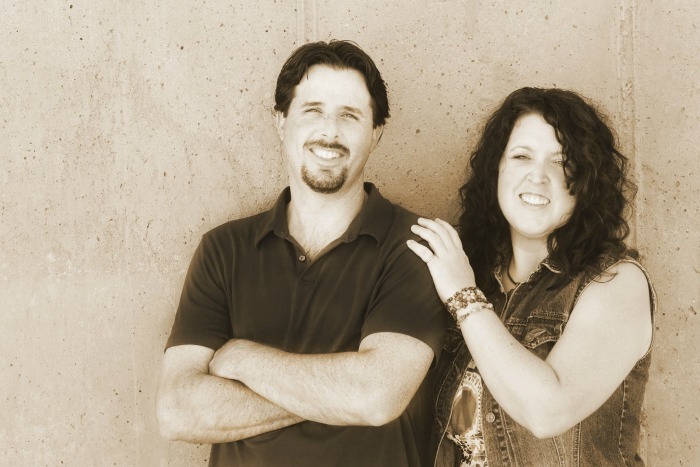 Lots of good Inso here! Now that is a home office!! You are ready to get down to business and ignore those squirrels (I have that same problem, lol) I love the layout and how organized it looks. that drum light!!!! Congrats on a wonderful makeover!!! Susanne, Yeah, for awhile I was using my laptop in the living room. Not efficient at all. Stuff everywhere. I am looking forward to seeing your room. Headed over now. So jealous of the fabulous designated office and creative workspace! You did a wonderful job – way to go! Hey Girls, Thanks for stopping by. Well, considering I spent a few years with this old laptop on the sofa, and the reason why I now have this room, it is bittersweet for sure. I am in love with that blue wall! That color is perfect! And those curtains – I love all the details! 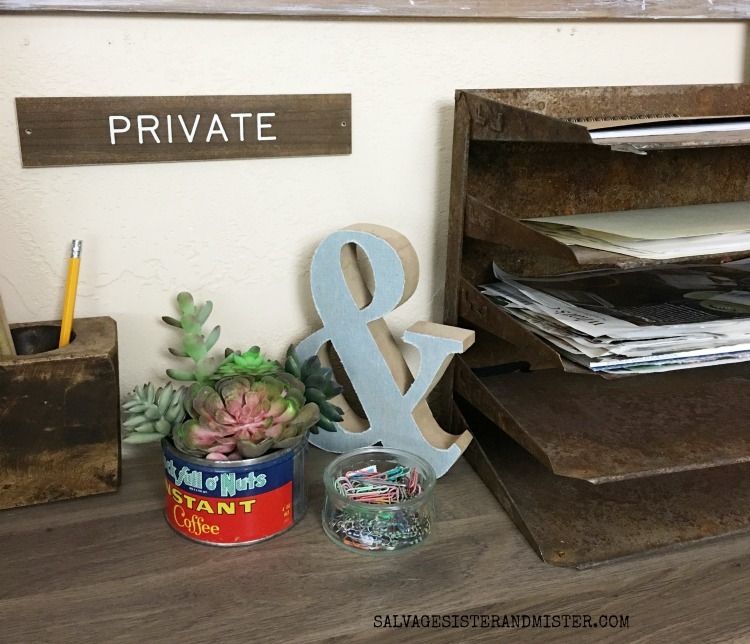 Even down to that cute little ‘private’ sign! It’s perfection my friend – congrats! Jen, You are so kind. I was hoping to do a bit more, but life happens. 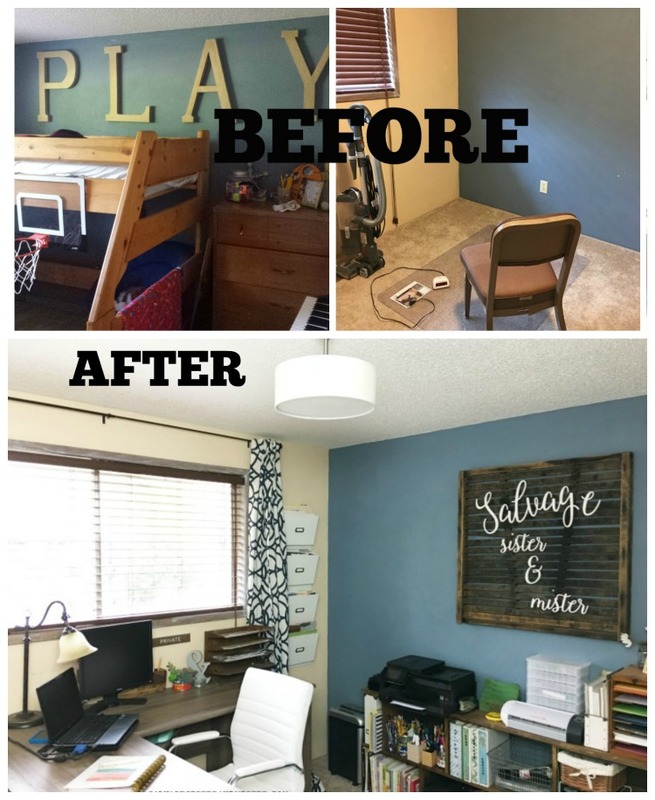 Your son’s room is amazing! Awe, Thanks so much my friend. It’s simple but gets the job done. Have a great day!!! Thank you so much Jessica. I was super thrilled with that find. Your office looks amazing! I love your wall color! And the sign on the wall with your logo is too cool! Enjoy your awesome new office space! I love your logo on the wall! You did a marvelous job. I love all the attention to detail. Congrats! Joy recently posted…ORC Week 6 Backyard Pool Makeover Final Reveal! What you said Deborah about having a space just for work is so important. I have a corner in my bedroom because our home is small but the best thing is that I can close the door and concentrate. Mary, boy it sure makes a difference after having worked on my laptop in the living room for 99% of my blogging career.